all have to be directed at attracting and selling tickets to concert goers. “To Hear the Angels Sing”. Independent market research showed that most tickets for holiday events are purchased by women. They are considered as much a family gift as any packages placed under a tree. and musical notes to reach a broader audience. posters, postcards, eblasts, web marketing and the event program. which itself is tied into the color of the Philippine flag. 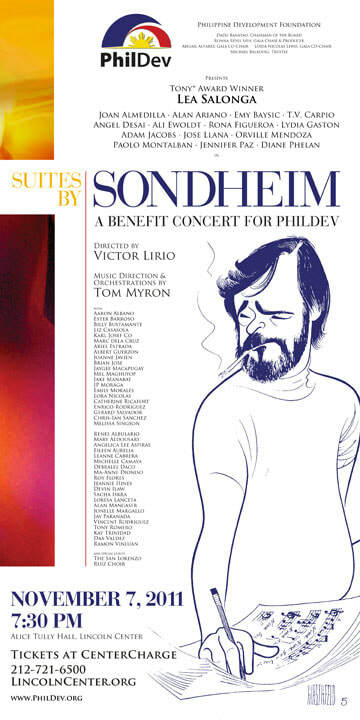 as much attention to the concert as the Sondheim repertoire.